Best headphones to buy | What Hi-Fi? Best Buys Over-ear headphones can deliver the complete listening experience. These are the best around for at home and on the go. best buys Wireless headphones set you free, and they can sound pretty great too. We've rounded-up our favourites on one handy page. Best Buys Immerse yourself in your music collection and cut out any outside noise with the help of these excellent pairs of noise-cancelling headphones. Best Buys The Apple AirPods might have started the trend, but there are better - and cheaper - alternatives to consider. Best buys Our shortlist of the best headphones around will help take your mobile and home listening to the next level. Best Buys Lose the wires when you're working out with our selection of the best wireless headphones for running and the gym. 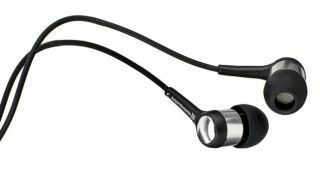 Sports headphones need to be resistant to sweat and the elements, they need to fit securely and they need to sound great. And, ideally, they need to do all this without breaking the bank.